The Motability scheme was set up in 1978 and has to date helped a staggering 3 million people to get a brand new car or wheelchair accessible vehicle. So what do you need to do get a shiny new car and what will it cost you? 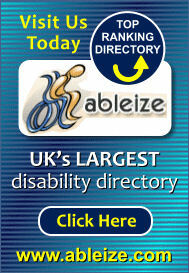 ABLEize has been digging deeper to get you the facts, makes and models available, cost involved and much more. Firstly you or a disabled person in your family need to be getting the higher or enhanced rate of the mobility allowance or Armed Forces Independence Payment (AFIP). If you do then you are well on the way to having your new car delivered. Motability has changed greatly over the years and i’m pleased to say the changes have been for the better, On a personal note, I have been using Ford Motabiliy cars for many years, I had a short break when my annual millage was greater than the allowance back then of 12000 per annum but now it 20000 per annum i’m back and happy as a sandboy. Most cars on the scheme are available without having to pay extra on top of your Mobility allowance, however if you want a better model, more expensive car or additional extras not already included you may have to pay an advanced payment. Use this link to find pricing options or contact your local dealer who will happily go through all your options with you. The good news however is that most makes and models these days come packed with many extras as standard to help push sales and the Motability scheme is no different so look around to get freebies like satnav, aircon etc as standard. More than 150 cars actually cost less than your current weekly allowance of £56-75 as of Feb 2015, so look out for those too. Because Motability is a national charity you may also get financial help including grants where you require a more expensive model or need a fully adapted vehicle to accommodate you in your wheelchair, need a hoist to get a wheelchair or mobility scooter in and out your car to help with your independence or essentials like hand controls, left foot throttle etc. For more about understanding The Motability scheme by clicking the image below.